Natural History Museum has raised $ 6,660 from 40 gifts! Science is key to addressing our complex challenges of advancing human well-being: sustaining the planet, its life, its environments, its climates, its waters; achieving breakthrough discoveries in energy, medicine and food production; and championing what is fact and real over what is fake. People trust museums more than any other media. We invite you to stand up for science by supporting the KU Natural History Museum. We inspire creativity, exploration, critical thinking and problem-solving for adults, families and school children from across the region. 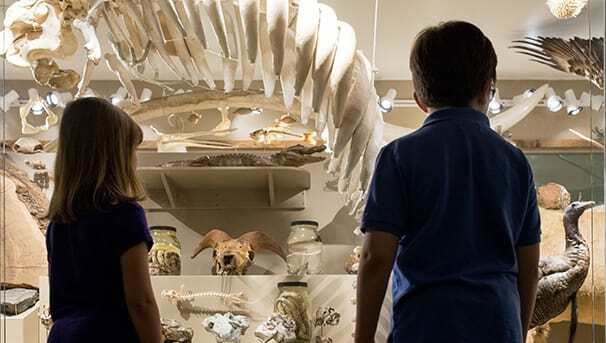 Recently ranked as the #1 museum at a public university, the KU Natural History Museum is accessible to all. Admission is free. We welcome more than 50,000 visitors each year to discover the life of the planet. Private contributions almost exclusively fund the museum’s science education, exhibits and community outreach programs. 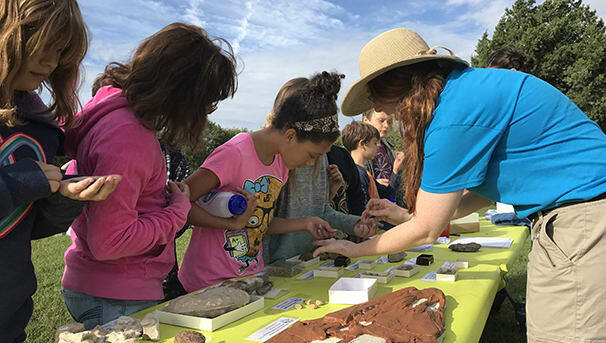 Stand up for Science Outreach: Send our new mobile museum to a rural Kansas community for a day. 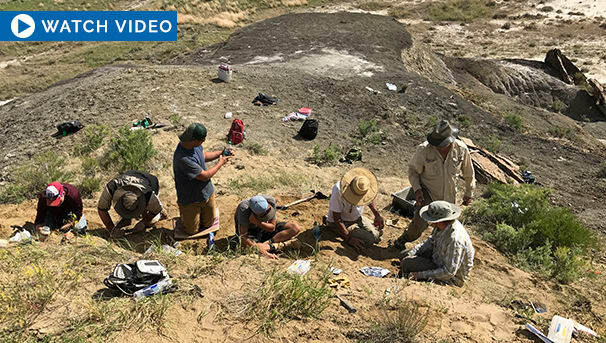 Stand up for Science Expeditions: Send our scientists and students into the field to find Tyrannosaurus rex fossils to study and display at KU. Stand up for Science Exhibits: Help us create new exhibits at the museum, such as an ocean biodiversity exhibit featuring bioluminescent animals.